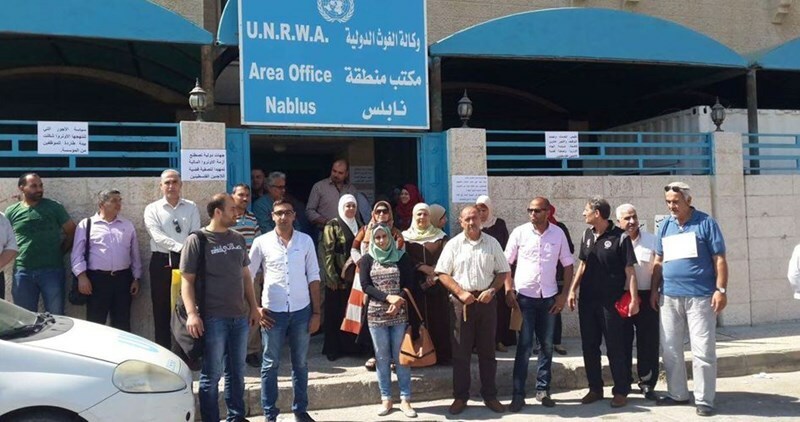 The union of employees of the United Nations Relief and Works Agency for Palestine Refugees (UNRWA) organized a sit-in Monday afternoon outside the UNRWA headquarters in Nablus in protest against its aid cuts policy. Member of union Mohamed Shalabi said that the sit-in came in protest against the agency’s aid cuts, low salaries and staff shortages. 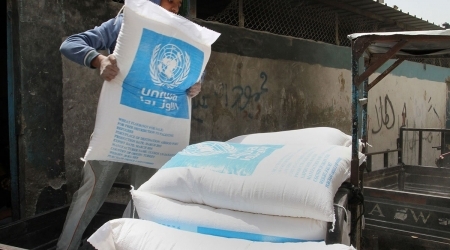 A survey conducted by UNRWA’s administration in coordination with the union of employees found out that Palestinian employees received salaries lower than the average in the host country. Shalabi charged that a new financial crisis emerges each year in order to cut down UNRWA’s relief and health services for Palestinian refugees. A human rights group has launched distress signals over the tragedy endured by Palestinian refugees in Qudsiya town, in war-torn Syria, due to the stifling one-year-long blockade and frequent shelling. 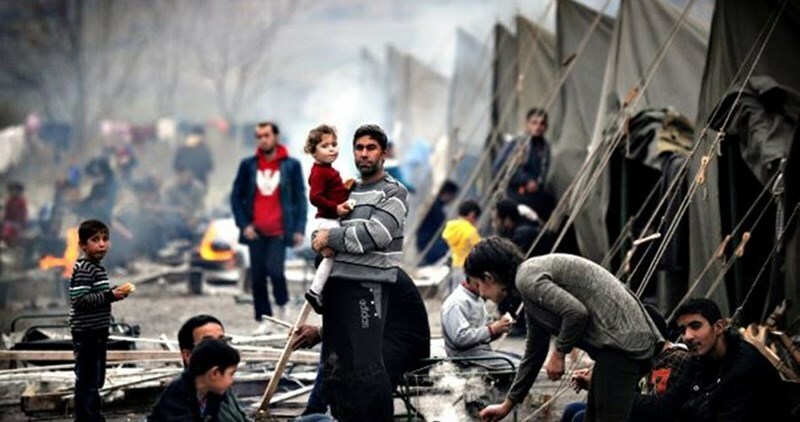 A report by the Action Group for Palestinians in Syria said refugees have been suffering poor living conditions in Qudsiya due to the acute shortage in food supplies and the recurring water and power blackouts. In an area where sniper fire and bombardment have been as recurring as sunlight, obtaining a loaf of bread has become the most longed-for of all dreams. With a swift surge in poverty and unemployment rates, several families have lost their livelihoods while others have gone homeless. The situation has gone far worse due to the forced displacement of refugees and orders, by the Syrian pro-regime army, to serve compulsory military service. Over 250,000 people have been taking shelter in Qudsiya town, itself a home to 6,000 Palestinian families, most of whom have fled the tattered Yarmouk camp, in Damascus. In a related development, families of Palestinian refugees tortured to death by the Syrian regime forces called for the release of their relatives’ bodies. Human rights activists called for internationalizing the cause of refugees’ withheld bodies and pressuring the Syrian regime to hand them over to their families. Syrian insurgents also said pro-regime officers are involved in a network for trafficking in human organs cut off from tortured cadavers. The Action Group’s documentation team also kept record of 3,341 cases of Palestinian refugees killed in war-ragged Syria, 451 among whom due to torture in Syrian regime lock-ups. On the eve of the International Day of Victims of Enforced Disappearance marked on 30 August, the Action Group (AGPS) for Palestinians in Syria announced that 449 Palestinian refugees were tortured to death in Syrian prisons, including women and elderly refugees. According to the AGPS documentation and monitoring team, 1,100 Palestinian detainees are locked up in the Syrian regime prisons. AGPS believes the number of detainees and torture victims far higher than what it has been able to document due to the absence of official statistics from the Syrian Regime on one hand, and the fear of some detainees’ and victims’ families to announce the disappearance fearing the reaction of the Syrian security apparatuses. AGPS renewed its demand to the Syrian Regime to release and disclose the fate of hundreds of Palestinian detainees who have gone missing so far. The group dubbed the mistreatment of Palestinian detainees a war crime by all standards. Many reports were issued by AGPS about enforced disappearance, such as Enforced Disappearance No. 1, Enforced Disappearance No. 2, and Picture Massacre, which provided details about the Palestinian refugees who died due to torture or enforced disappearance during the bloody conflict between the Regime and the Opposition. AGPS added that it documented direct detention cases of Palestinians through checkpoints by the Regime Army inside the Syrian villages and cities or through the random arrest campaigns. As soon as refugees are kidnapped, it becomes almost difficult to know the fate of the detainees. In some cases, the Syrian regime calls the family of the detainee to receive his/her dead body from one of the military or government hospitals. Palestinian refugees in Germany complained about short term residence permits which do not allow them to apply for family union or work in the country. The action group for Palestinian refugees in Syria revealed in a statement on Monday that the partial protection law (a residence permit for one year renewable to five times) has been stopped giving three-year residence. This means the inability to apply for family union, practice free business, take a student loan or obtain neither of the permanent residence after five years nor the silver passport. Some experts in law opined that issuing short-term residences (one or two years) to Palestinian refugees mostly is due to unconvincing the judge of the reasons behind the application for asylum. The statement pointed out that thousands of Palestinian refugees in Germany have been granted short-term residence permits while, on the other hand, so many others were given three-year residences which allow them to apply for family union and work. No statistical reports have yet been released on the numbers of Palestinian refugees of Syria in Germany who are classified as stateless or lacking citizenship. However, Germany is committed to facilitating citizenship to stateless people in accordance with German citizenship law 2000. A rally was staged by the UNRWA Staff Union in Gaza on Saturday to protest the agency’s cuts of its services and recruitment opportunities. 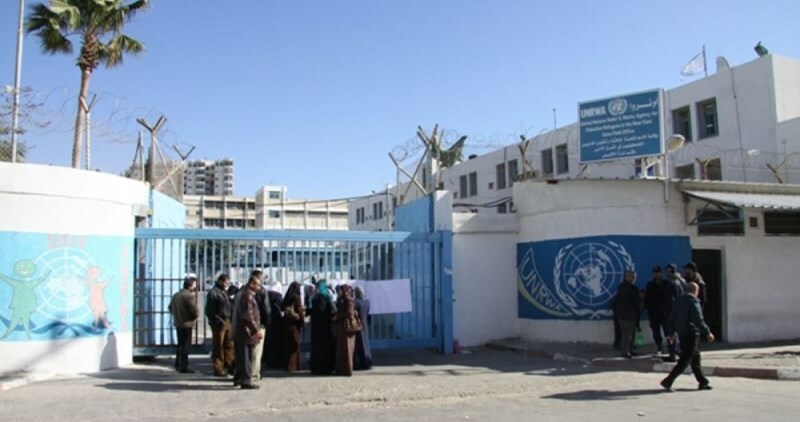 The protesters, who rallied at the Girls School in Khan Younis refugee camp, voiced their firm rebuff of the UNRWA’s restrictive policies and called on the agency to take up its responsibilities as regards its staff members. UNRWA staff member Wajdi Jouda spoke out against UNRWA’s freezing of the workers’ salaries for five years. Jouda vowed that the workers will keep up protest moves until the agency meets their demands, adding that the workers will approve of any promising talk initiative. For her part, the union’s Deputy Head, Amal al-Batesh, said the workers were shocked by the UNRWA’s infringement of the rights of some 12,000 workers. The UNRWA’s Commissioner General should keep to his promises and work on restoring the workers’ rights, she added. “We are keen on dialogue but our protests are ongoing. 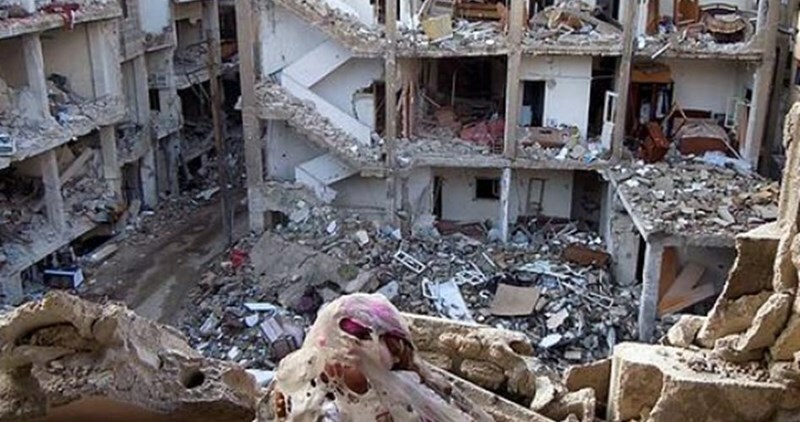 We will never accept such decisions by the UNRWA,” al-Batesh further stated. 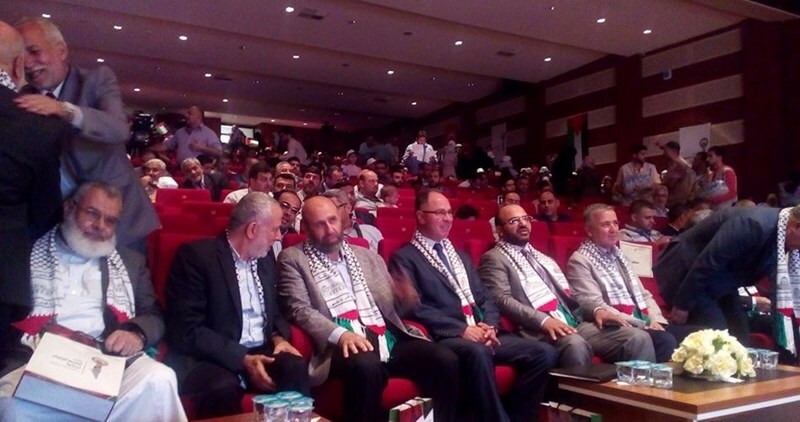 Hamas Movement reiterated Palestinians’ commitment to their right of return to their motherland. Hamas’s department of refugee affairs said in a statement to commemorate the 40th anniversary of the notorious Tel al-Zaatar massacre in Lebanon, Palestinians’ existence in Lebanese refugee camps is provisional and their return is just a matter of time. “The Palestinians will never forfeit their right to return to their native soil and liberate their land despite all the massacres perpetrated against the Palestinian people,” the statement read. “The destruction of the Tel al-Zaatar refugee camp and the slaughter of its refugees served Israeli interests,” Hamas added. “Palestinian refugees have the right to inspect the deal following which the UNRWA gave up the shelter and never tried to bring back the refugees,” the group further stated. 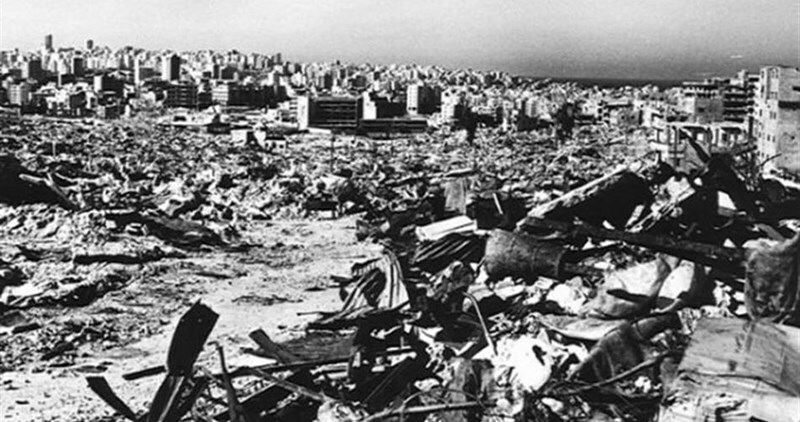 Over 3,000 Palestinian refugees were slaughtered in a horrendous massacre at the Tel al-Zaatar refugee camp, to the northeast of Beirut on August 12, 1976.